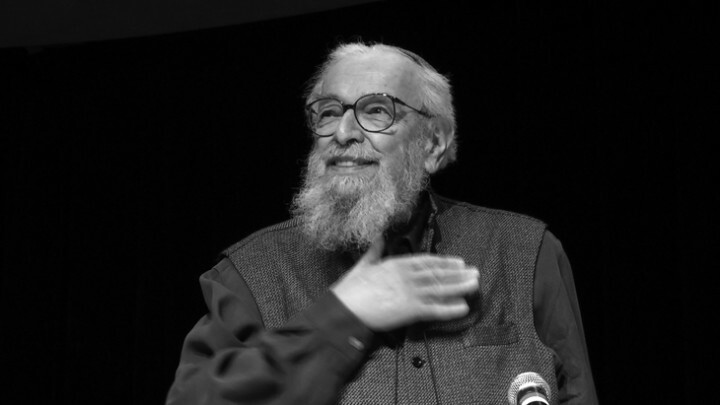 Reb Zalman Schachter-Shalomi at the University of Colorado at Boulder, January 2011. Courtesy of the Program in Jewish Studies, University of Colorado at Boulder. David Shneer: You’re originally from Austria. I love your stories about your childhood in Vienna, going from davening on Shabbat morning to a Zionist youth group in the afternoon. After the Nazis came to power in Austria, you fled to Belgium, and then had to flee Europe entirely. You ended up in Brooklyn studying with the Lubavitcher rebbe, whom I believe you met as a refugee in France. And, if I recall, you were one of the earliest Chabad emissaries in the late 1940s and 1950s, travelling to college campuses and even having your own congregations. But something happened in the 1960s that made you realize there was something bigger or at least different for you to do. What happened? Reb Zalman Schachter-Shalomi: The people whom you befriend, the people with whom you exchange ideas, they create change in you, and that included the people that I wanted to influence, in this case those who came to my Chabad community. So if I wanted to influence them, I had to know what they were thinking. When I started to understand what they were thinking, then I too began to think that way too. There was a time when a group of rabbis used to meet at Oconomowoc in Wisconsin, at the Union for Reform Judaism Institute. We paid our way, shared expenses, and talked to each other about those things that we couldn’t talk about to people in our own rabbinic associations. These are the people who got my first report of my LSD experience, originally published in a book called The Ecstatic Experience, so the shift happened in a gradual way. After all, how could I influence people to continue with a Judaism that was still insisting, by some voices, that the world was created 5700 and so many years ago. I had already shifted in my mind from ortho-dox to ortho-prax. In other words, I kept the rules as they were, but I certainly couldn’t teach it in the Orthodox way. It was always that I wanted to go into a deeper and higher understanding of the thing. In those days these ideas were piecemeal, like little islands of thought; some of them were more psychological, some of them were more spiritual, some of them were more ecumenical. The turn to a more contemporary understanding of the world began in 1947 in New Haven, Connecticut, when I was still teaching at a Lubavitcher yeshiva. I start to read secular and religious teachings outside of Judaism and Chabad. I got hold of the Portable World Bible by Robert Ballou and found out that Gentiles also have rebbes. To my amazement I found out that in India there was such a person as Ramakrishna. And I found out that there are some Catholics who are monks and who are having difficulties in mental prayer, and I thought that they were doing the same thing. How do you keep your mind from wandering? How do you keep your mind, while you’re meditating, from the intrusions of things you don’t want? I began to see that we were all sharing practical ways of how to connect with God. I got involved with different Catholic orders; that was in my Catholic period. Then I became involved in what I call my Hindu period. At that time, I used to often talk about the “dialogue of devoutness.” I would take a story of one of the rebbes and one of the Catholic Saints who were dealing with the same kind of situation. I loved to confuse my students and take a snippet from the Ethics of the Fathers (Pirkei Avot), from The Desert Fathers, and from the meditations of Marcus Aurelius Antoninus. I would cut away the personal markers and shuffle them all up and then I asked the students to try and separate which one is Christian, which is Jewish, and which one is pagan. They could not. It was all in the language and the experience of the second century of the Common Era. So I always talked about the “dialogue of devoutness” instead of the dialogue of theology. The dialogue of theology gets us to a place where we have to talk about the doctrinal differences, and it becomes a disputation because it deals only with doctrinal differences. To call idolators people who believe different credos than I believe did not make sense to me anymore. If the first part of my life in the United States was about restoration of the world destroyed in the Holocaust, by the 1950s and 1960s, I was envisioning something called Jewish Renewal, rooted in its time and place, and one that was future thinking rather than about the past. First, we talked about the update in theology and cosmology that Renewal demanded. Second was the feminist part. Third was eco-kosher, bio-kosher. And fourth, the importance of ecumenism, as I now formulate it, that every religion is a vital organ of the planet. It would be foolish to say that everybody should be Jewish, the same way as it would be foolish to say that the whole body should be made of liver. Shneer: So how do you deal with the Jewish concept of chosenness? Schachter-Shalomi: Chosen to be a liver. What would happen if all of a sudden I were to take liver cells and put them into my heart? I would die. I think specificity is necessary, just as we want specificity in plants, how we want specificity in animals. The DNA of something is very important and very specific. For example, I like to translate the name Adonai tsva’ot, classically translated as Lord of hosts, as Lord of diversity. I think diversity is a lot better way of saying that. So Jewish Renewal then says: we want to continue the way of Jewish piety and the heart and spirituality. We want to continue it in such a way that we don’t have to pawn our heads. We want to be able to do it in such a way that will contribute to the health of the planet. We want to do it in such a way that we recognize what we need: first of all, our connection with other religions. We want to feel free to borrow what we need from them and to let them borrow what they need from us. In 1962 or 63, shortly after China conquered Tibet and sent many Tibetans into diaspora, I met a Tibetan Lama in New Jersey. I mentioned to him if they want to know how to survive in the diaspora, it would be important for us to talk with each other. It took a long time until we came to Dharamsala. In those days, after meeting the Dalai Lama, I sent a telegram to Ben-Gurion asking Israel to offer him sanctuary. It didn’t happen, and it was better that it didn’t happen. They made a lot of tsuris for him when he put the yarmulke on and went to the Western Wall. He is such a sweet guy, really a wonderful person. But then, you know the issue started to come up: how would the Tibetans survive? And he said, “You people have been doing this for two thousand years. How do you do it?” I suggested that they should have a Seder in the family to talk about the story of the Buddha’s enlightenment, the story about how it came to Tibet, to talk about the foods that their forefathers ate (Tzampa) and drank four cups of butter tea. The whole point is to make it sensory. In fact, this gets to one of the important things of the paradigm shift in religion—the importance of the body. Prior to that, everything that had to do with the body was low. If it’s sensual, it’s bad; that opens the door for Satan and so on. Today we must start looking at the life of the planet as the highest priority. All religions have to put this as the highest priority: to enhance the organismic life of the planet. From that point of view we have to share more with each other and feel free to give and take. Look how much we have learned from yoga. Some people are doing Jewish yoga and some people enjoy Jewish meditation, which is Vipassana with a little bit of Yiddish salt and pepper, so that it should taste more Jewish. You see that this is inevitable. The world is moving to something that Pierre Teilhard de Chardin, a Jesuit priest in China, described when he was told by the Church not to teach his stuff. His philosophy was that we are moving to an idea of the “divinization of the planet.” I feel that Teilhard wasn’t telling me something that was so out of my scope, because the first teaching I got from the Lubavitcher Rebbe’s son-in-law, Menachem Mendel, who later became the last Lubavitcher Rebbe, way back in 1940 in Marseille as we were both fleeing Europe, already foreshadowed this idea for me. Shneer: It’s a sort of syncretic approach. Religions borrow from each other for sources of innovation. Schachter-Shalomi: I don’t like syncretic. It’s a good word but it has been used in a negative way, to discount the interactions of religions. Organismic is different. I’ll tell you why. Ilya Prigogine, a Belgian chemist, teaches that closed systems tend to entropy. How does a system survive? By having a strange attractor bring something from the outside in. When I start looking at how Judaism is a closed system in those enclaves that don’t want to allow anything else in, I realize that entropy is setting in. Instead of dealing with spiritual values, we are now concerned about who is the one who declares that this is kosher—“from this kosher certification I don’t eat and from that kosher certification I do eat”—that is entropy: spiritual entropy. It is necessary to let in things from the outside. That’s why I don’t like syncretism. It is too much in the head. Shneer: At what point did you think that this new idea, what would come to be called Jewish Renewal, should be institutionalized, if ever? Schachter-Shalomi: It started with Daniel Siegel. He had been to the Reconstructionist seminary in Philadelphia. He was very close to ordination but decided not to do it, because it was too dry and it didn’t touch him. Daniel came to me and said, “Would you ordain me?” I told him that for me, if you want to be a rabbi, you have to know as much as a good European shammes knew. In Europe, if the rabbi couldn’t do something, the shammes could step in. If the Torah reader (baal kriya) wasn’t there, he could read the Torah. He could do everything that’s necessary. Ultimately, we are asking, what does a rabbi need to know, but rabbis also need to have spiritual direction themselves. Shneer: How do you maintain that initial charge that you gave to Daniel Siegel: that someone getting ordained needs to know what a European shammes does? Schachter-Shalomi: Now he doesn’t have to be a European shammes. Shneer: What does he have to be now? Schachter-Shalomi: Now he has to be a person who can be both a pastor and a spiritual guide to his people, and a liturgist who really knows the craft of not performing but being in the presence of God with a congregation. Shneer: What brought us here to do this conversation was the donation of your papers to the University of Colorado’s archives, which we hope will be beginning a much larger project of serving as the reservoir. Schachter-Shalomi: And when people start asking the kinds of questions you asked me here, then they will have the documents for it. There were the innovations in the liturgy. We have all these documents here. The exchange of letters with some of the people like Thomas Merton is wonderful material. I’m now digging up some of the old letters written to and from the Lubavitcher Rebbe. That’s wonderful material, too. People ask me, Are you happy with how Jewish renewal is today? And I say, “It’s not my business anymore.” Just as I was deployed and used by God and Earth in the process of life, so there will be other people who will be used the same way. If they are awake and open to what is happening, they will continue Jewish renewal. Now what comes? A brucha, a blessing. May everybody who is going to touch one of those papers in the archive feel good about it, because some of these papers are going to fall apart or be out of order. May things in your life be so wonderful that you shouldn’t get upset about that. So a blessing to all of you: v‘nomar. Amen. 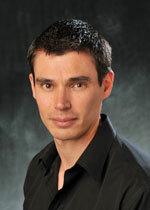 David Shneer is professor of History at the University of Colorado, Boulder. His most recent book is Through Soviet Jewish Eyes: Photography, War, and the Holocaust (Rutgers University Press, 2010).